The France national soccer team reached a historic first FIFA World Cup Final in 1998. France played host to the tournament, and the final took place two short days before Bastille Day. The final match of the tournament saw France line up against a powerful Brazil team led by the phenomenal attacking talent of Ronaldo and Rivaldo. The deciding match was held in the outskirts of Paris at the historic Stade de France with 80,000 rabid French fans in attendance. The match was decided by the galactic talent of French attacking midfielder and talisman Zinedine Zidane, whose first-half brace gave France the cushion they needed to shock Brazil 3-0. Despite the loss of Marcel Desailly to a red card in the 68th minute, Les Bleus held strong and grabbed a third goal from Arsenal midfielder Emmanuel Petit in the third minute of stoppage time to put Brazil to the sword. This was the first World Cup victory for France, and their second title would come exactly two decades later with a 4-2 victory against Croatia in the 2018 FIFA World Cup. 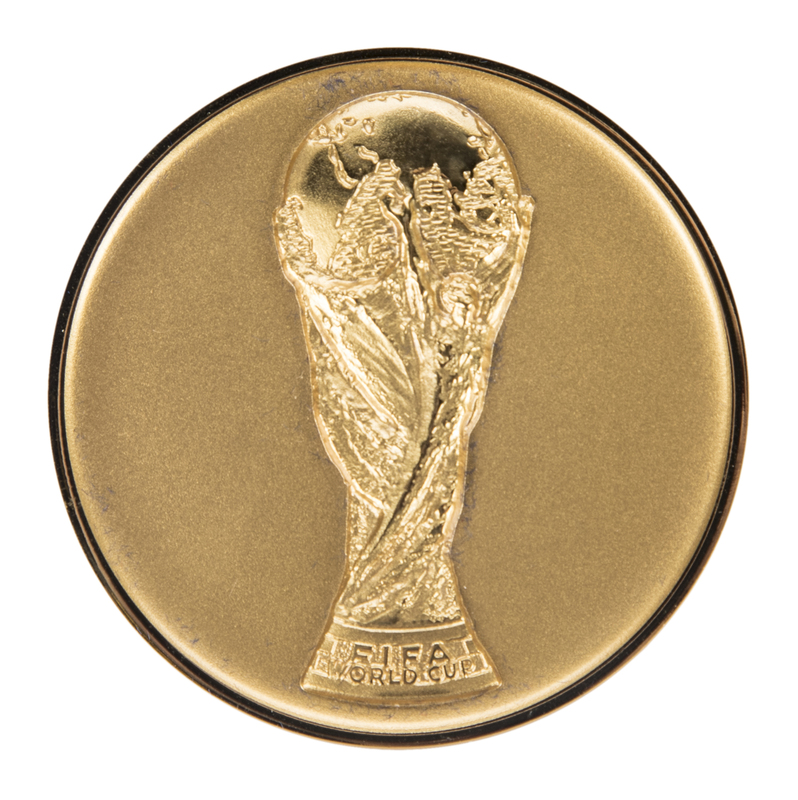 This offered 1998 World Cup Winners Medal is gold in color, and measures two inches in diameter. 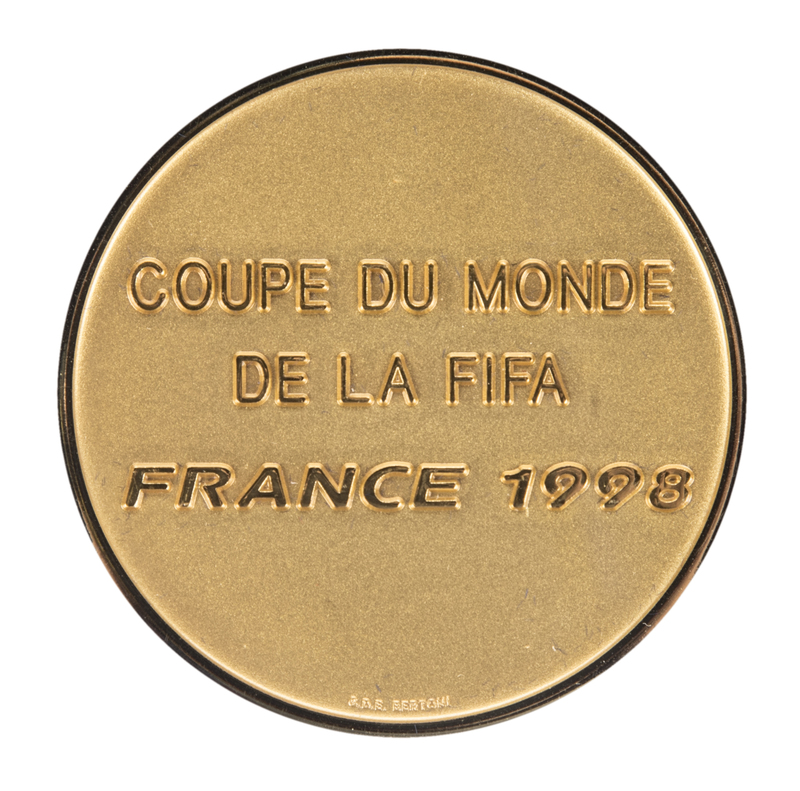 The Jules Rimet Trophy is etched in high relief on one side of the medal, while “COUPE DU MONDE DE LA FIFA” and “FRANCE 1998” is etched on the reverse side of the medal in high relief. “G.D.E. Bertoni” is etched in high relief in small letters on the bottom of the medal. This stunning gold medal comes in the original presentation box. 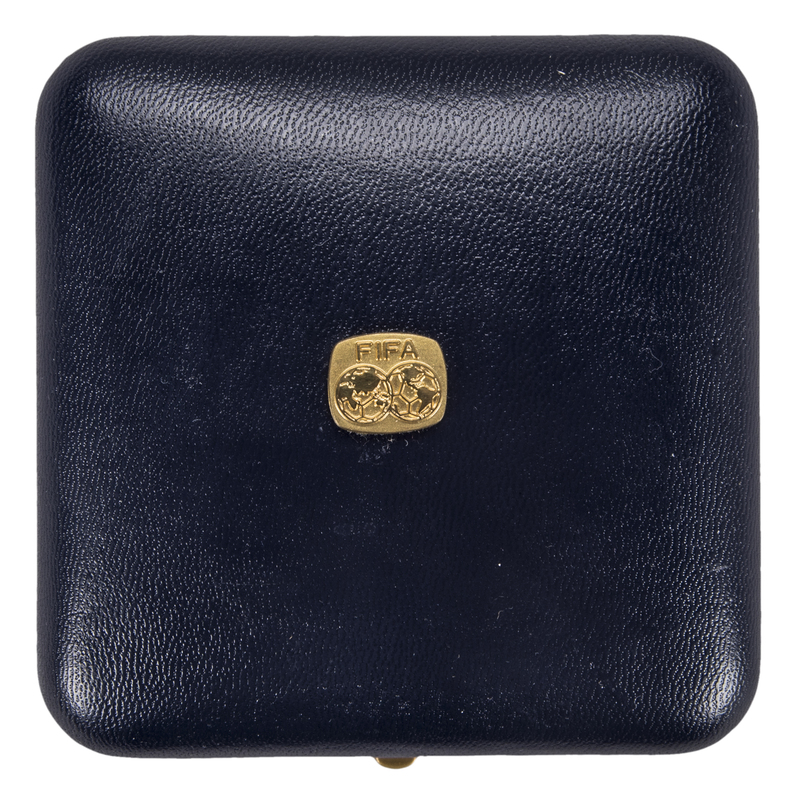 The blue box features a small FIFA logo applied to the top of the box in gold. 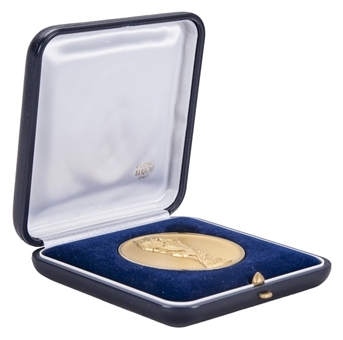 This medal is a fantastic relic of soccer history, and a true keepsake for the astute soccer fan.